Know the performance impact of snapshots used for backup ! A good understanding of VMware snapshots is essential when using backup tools using snapshot technology. Snapshots can hurt performance of virtual machines. It even can lead to freeze / unresponsiveness for many minutes. A traditional backup tool is not aware a server is running as a virtual machine will make a backup of the files inside the virtual machine. This will impact the vCPU and the network as all data will be transfered over the network to the backup server. Much better is using a backup tool which is able to make image level backups. Many tools are available on the market to make such backups. It copies the virtual disks and is able to save the characteristics of the virtual machine like the number of vCPUs, internal memory etc. Very important when a full recovery of one or more virtual machines is needed. You do not want to manually re-create virtual machines, boot an operating system and start recovering files. To make a crash consistent backup of a VMware virtual machine, backup software uses the snapshot technology of VMware. It simply sends an API-call to vCenter Server or the ESX(i) host with the request to make a snapshot. When a snapshot is made, data of the virtual machine is not written anymore to the VMDK files of the virtual machine. Instead data is written to a temporary snapshot file. This enables a consistent backup of the virtual machine because during the runtime of the backup the VMDK is not changed. Mind the backup is crash consistent which means the virtual machine will boot up when recovered from backup! This will not guarantee that applications using databases will boot up fine as well. To make sure databases can be recovered, a VSS-snapshot needs to be made as well when creating snapshots. When the backup is done, the backup software will delete the snapshot file. Deletion or commiting the snapshot file means all data that has temporary been written to the snapshot file is being purged into the VMDK files. While this snapshot commit is running, a second snapshot file is created to store the data which is written by the VM during the commit phase. When a VM is busy with diskwrites during the runtime of a snapshot based backup (for example a heavily used Exchange Server or database), the commit will take some time and uses relative lots of IO. Obviously lots of data need to be read and written. VMware ESX(i) needs to read the VMDK to see if blocks of data exists which are also existent in the snapshot file. If data does not exist in the vmdk and does exist in the snapshot file that data is written to the VMDK. The commit process can have a negative effect on the performance of virtual machines during backup. I have seen cases where users could not login to servers because at that time a snapshot commit was done and the backup job was running. In vCenter Server the text ‘ Remove snapshot’ with status 95 %. The process seems to be stuck at 95 % for a long time. As soon as the backup job was aborted the performance issues were over. The effect of snapshot commit is one of the reasons Veeam Backup & Replication uses serial processing of virtual machine backup. A backupjob having 10 vm’s will start with backup of the first vm, when ready the next vm and so on. If parallel processing is done there is a chance the jobs will saturate the SAN. First because the data read from SAN send to the backup storage and secondly when the backup has finished and snapshot commits are done. Another disadvantage of parallel processing in Veeam is that multiple backup jobs needs to be created and this will reduce the efficientcy of de-duplication done by Veeam B&R. 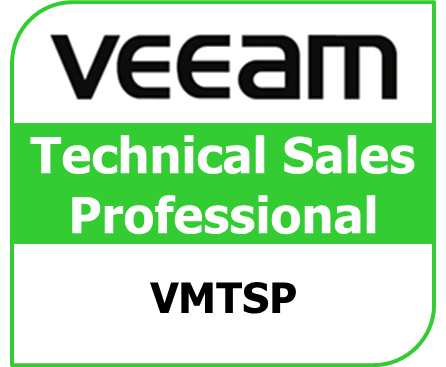 Here are some links to postings on the Veeam.com forum about timeouts and freeze on virtual machine during snapshot removal. Again, these issues are not related to Veeam B&R. Timeouts can occur using any backup tool using snapshots. It is caused by the way VMware handles snapshots. Besides being able to backup a virtual machine, Veeam B&R is also able to replicate virtual machines. This enables a low RTO and RPO a bit like Site Recovery Manager does. Mind however the replication function will use snapshots! If your replication schedule is set at 15 minutes during working hours on a server busy writing, there is a risk of performance issues! Make sure to test the effect of replication jobs on the performance of virtual machines. If the effect is negative, an alternative solution should be considered. While Veeam does replication at the virtual machine disk level, Microsoft DPM does replication on the application data level. DPM does not create a snapshot and uses Changed Block Tracking. Instead it tranfers the changed data blocks of files. So no snapshot commits. snapshots must be used to save the state of a virtual machine and deleted as soon as possible. Do not keep a snapshot file if not needed anymore. The snapshot file will grow fast on servers with lots of writes. Commiting the snapshot will have an impact on performance. Forgetting to delete the snapshot can lead to disk full situations. Use tools like RVtools to quickly see if a vm has live snapshots. make sure the performance of the storage area network is known before a full rollout of backup jobs. Backup jobs are preferably run during off hours when the load on servers is low. Timothy Dewin has written a great blog explaining the way snapshot works and why performance can be negatively be affected during creation and deletion of snapshots. Recommended read! 3 Responses to Know the performance impact of snapshots used for backup ! You can also use “Storage Views” in vCenter to find VMs with snapshots. Great article. I’ve recently been involved in a situation where a customer cannot backup a SQL VM via image-based methods (vDR, Veeam etc) because the snapshot commit causes their application to hiccup. It appears there is no good solution, because any VMware VADP backup is going to use snapshots. For replication, I did find a note indicating that the new vSphere Replication with SRM Standard available in SRM5/vSphere5 does not use snapshots for replication. 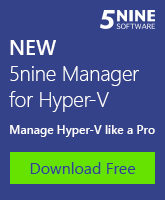 This could be good news, and SRM Standard (25-vm Pack) is relatively inexpensive. It is true Site Recovery Manager 5 when used with vSphere Replication (or host based replication) does not use VMware snapshots for replication purposes. So there are no snapshot commit possibly pausing the virtual machine. The vSCSI driver is used for this. Basically it forks the data out of the VM. 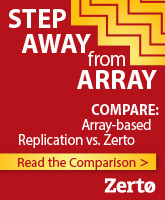 This driver is also used by Zerto Virtual Replication.